Today for International Holocaust Remembrance Day, we remember that for generations before the Spanish Inquisition (roughly 1478-1834), Sicily was home to thousands of Jews who lived side by side with their fellow citizens who represented a multicultural salad in the middle of the Mediterranean Basin. 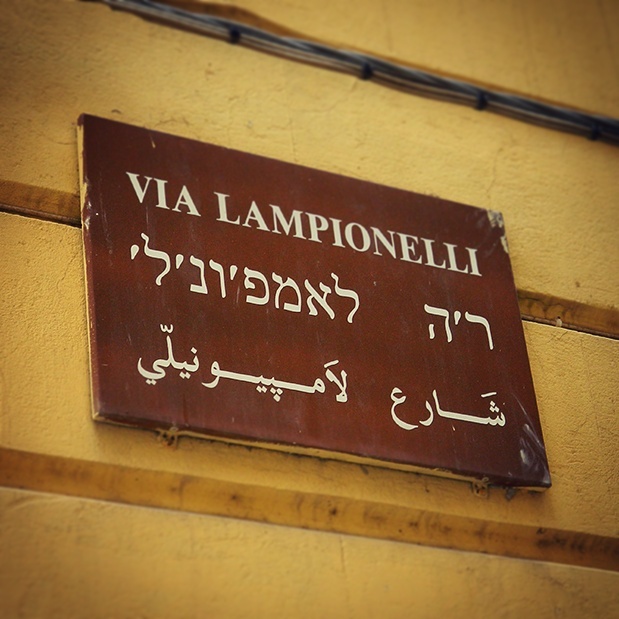 Palermo honors the history of its diverse citizenship with street signs in the Centro Storico written in Italian, Hebrew, and Arabic. The street sign for Via Lampionelli, pictured, marks the area where small, tin lanterns (called lampionelli) were hand crafted, bought, and sold. I love those signs in Palermo! The are truly fascinating and spark many conversations.